Deep South Dish: Well, Lookie What Y'all Did!! Most of you know I was very stubborn about releasing a cookbook all of these years. I thought the process would be daunting and I just didn't want my voice or my recipes to become lost in the voice of some publishing house that would make it look like one of their cookbooks and not mine. I wanted the book you held in your hands, to be what you asked for - a true and authentic representation of my family recipes and my work here at Deep South Dish, and not some marketing ploy to get a book out so I could add the words cookbook author to the back of my name. I didn't want it to be a forced process or have to hard-sell a book or myself. I wanted my book to be a product of the United States and to be printed here at home too. And I wanted it all to be completely organic. Thanks to my publisher Quail Ridge Press, a Mississippi company, owners Barney and Gwen McKee and all the folks behind the scenes who turned my blog into a book and worked hard to bring it all about, the best side of publishing a cookbook happened. The countless emails and comments I have received from all of you about the cookbook and how much you love it, tells me it was everything I'd hoped it would be for you and more. Many of you have already asked about volume II! I hope that you'll let me bask in the wonderment of all of this just a tad longer before thinking about that. As many of you know, we sold out very quickly on QVC, which was amazing since it was almost 10,000 cookbooks. It was everything I could do to hold it together and not cry on live TV y'all! The sales locally and on Amazon have also been fantastic, and we are already on our second printing! 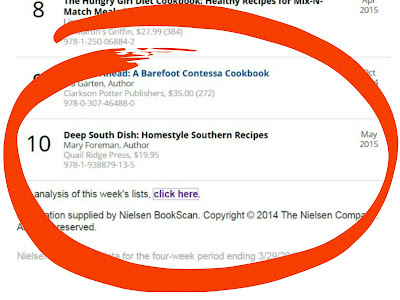 The biggest news this week that I wanted to share is that Deep South Dish Homestyle Southern Recipes cookbook hit two national top 10 best seller lists on Publisher's Weekly for Best Selling Trade Paperbacks and Best Selling Cookbooks - and seeing as I know little to nothing about the publishing world, I am told that this is not common for non-celebrity cookbooks like mine. That's pretty cool and thank you SO much for making this happen! The other big news for this week is that thanks to your ordering and the success of the cookbook on QVC, they have invited me back! I will be appearing once again on the UPDATED: In the Kitchen with David P.M. Edition, this coming Wednesday, May 27, 2015 between 8:00 p.m. and 11:00 p.m. Eastern time (that's 7 to 10 here on the Gulf Coast CST) Sunday, May 24th between 12:00 p.m. and 3:00 p.m. Eastern time (that's 11 to 2 here on the Gulf Coast in CST). I realize that most of you have probably gotten your copies, but it's a good chance to feature some of the recipes we didn't get to last time and also for folks to pick up some extra copies for gift giving, as well as for all of the call-in QVC viewers who didn't get a chance to order it last time, to have another opportunity. Books are on the way to QVC as we speak and the Item No. is F11894. While it would be amazing if the book sold out again, even if it doesn't, I'm very excited to be heading back up to QVC headquarters again - wish me luck y'all! The two copies I ordered for me and Stephie came yesterday (and on a Sunday from the USPS--weird)! I was thrilled. You can never have too many southern recipes, you know. Plus, a lot of Ma-Ma's recipes either weren't written down or we have just a list of ingredients. Haha! I'm so excited for you!! Congratulations! Thanks so much Julie! I really appreciate the support & that must mean they got the latest shipment and are finally fulfilling those last waitlist orders!! Several readers told me that they also received packages from the post office on Sundays - I was very surprised (but not unhappy!!) about that too. I am so excited for you, Mary! Answered prayers. I'll be watching again and I know you'll "bowl" everyone over with your recipes. Look out too for more happy dances from David. Oh gosh Tricia, that would be nice! I'm not sure if we'll have the same menu or not but hope to find out today. Congratulations, Mary! I have enjoyed your recipes for years as they have helped me be a success in my kitchen. It was great to see you on QVC and I'm so happy for you and the popularity of your cookbook. I wish you continued success and please keep up the good work! Mary, that is wonderful news!! I've been plugging your cookbook at other websites and getting the word out. What I love about your book is that it is not intimidating for novice cooks. It's a great gift for someone setting up housekeeping for the first time. Great for bridal showers and new home owners. My one regret is that I have to have surgery very soon and won't be able to lift or cook anything for a few weeks. My sister is coming to look after me for a little while, and I will make sure she has a copy to take home with her. Thank you, Mary. Good cooks are often remembered long after they get to Heaven. There are enough good recipes in your cookbook to make our food memorable in the minds of many. Congratulations Mary !!!! So very happy for your success ..and I loved you and David on the last show..lol he was so funny !! Mary, I just tried to order some cookbooks on QVC's website. It said they are "wait-listed". What does this mean? P.S. Your cookbook is THE PERFECT GIFT this wedding season for all the new brides!!! Mary, I saw you last time, and I am already going to set my TV to tune in to QVC at 9:00 am. I know you'll have a wonderful time! Two Top 10 Best Sellers Lists!!! That is AWESOME! You must be floating on cloud 9 right now! I'm so proud of you and glad I shared a part in putting you there. Your recipes are so good and your beautiful cookbook is a wonderful way to pass them on to generations to come! I have also enjoyed your recipes from the blog for years. Already received my first three copies of the cookbook and have given out as gifts. Already time to order more. Thank you so much for sharing your gifts and talents with the world. Keep on keeping on! Congratulations Mary!! I am so excited for you, and your recipes are fantastic! Absolutely thrilled for you! God bless! Wow, that is awesome news!! 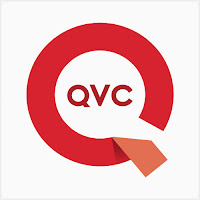 I will definitely be watching you on qvc again. I ordered your book yesterday on amazon. Your recipes are a part of my heritage and remind me of my grandmother and re-live good memories. And I'm sure you are doing the same for others as well. You have helped me out time and time again in the kitchen with your recipes. You are touching hearts all over, I'm sure of it. 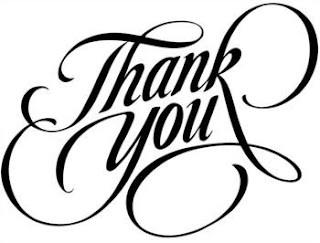 Thank you for putting all of your valuable time and effort into your blog and recipes. This success is a product of all your hard work, bask in it all you want to, you deserve it for a job well done. Yes though, vol II is an excellent idea. No pressure, ha! Anyway, I am excited for you and my family is as well. We're all rooting for you here in this big honkin' state called Texas! Congratulations to you and the Cajun. Celebrate!!! Got your book today. It is great. The pictures are beautiful. It's like holding your blog in my hand, pretty cool! I like the skillets on top of each page. This is a true representation of what a deep south dish looks like and of your blog as well. The plate on your cover is beautiful as well. And your picture is stunning. Thank you. I hope your day goes well! Thanks so much Mellie!! That's exactly how I wanted the cookbook to be & thank you for taking the time to s share that. I really appreciate it!! Have a great holiday weekend! Congratulations and hope the success continues. I got so caught up in one of the busiest months for my family and totally forgot to order my book on QVC the day you were on. I was heartsick when I saw it was too late. Thankfully I was able to order it on Amazon and I am so excited to get my hands on it! Your recipes are a staple in my Louisiana home and I will buy every cookbook you write! Congratulations Mary! Enjoy your success and know you are loved by all us Southern cooks and I am sure a few Northerners as well! I have my copy all kinds of marked up!!!! I also bought the meat tenderizer that you had recommended and I love that too!!!!!!! Girl you have made my kitchen and husband so very happy!! I wish you could see the big ole smile on MY face Mrs. J! Thanks so much!!!! Mary, I am so proud of you!!!! I just got my copy of your cookbook in the mail and think it's perfect. It has ALL of the core Southern classics! I lug it around like a blanket for comfort, so I shall purchase more copies that won't get tattered and I can actually use. :) I'm your former Facebook fan (when I was on Facebook) who told you about my mama's diabetic baking cookbook years ago. Your cookbook will make GREAT wedding gifts. My friends want my copy! Thank you SO much - what a sweet comment. You really lifted up my day! !